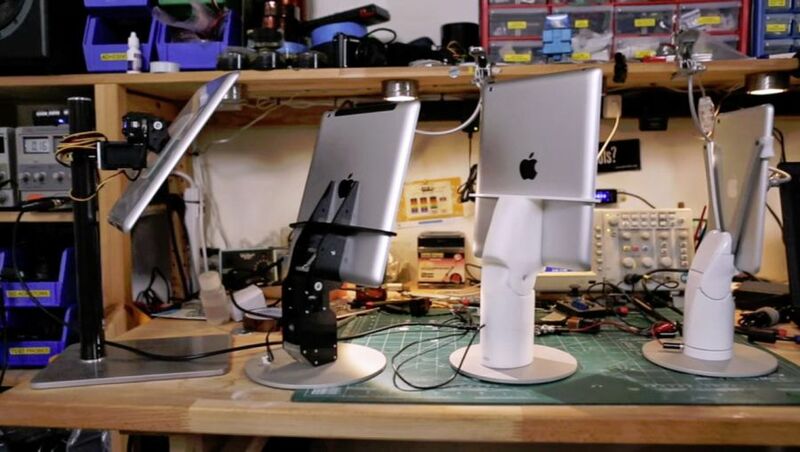 San Francisco based start-up “Revolve Robotics” developed a new robotic telepresence unit which allows users to pan and tilt a tablet used for video-conferencing and “look around” any remote location during video calls thus vastly improving the user’s experience. Video calls have become more and more common in recent years however besides professional and expensive products, the user still lacks the ability to control the camera on the other side – making conversation less personal and life-like. Kubi, a new robotic platform, was recently developed in order to solve this problem and allow users to have a fuller experience while having a Skype, Facetime or any other VOIP video call. Having a robotic arm to help change the direction and angle of where you look during a video call can actually have quite a few applications including remotely “participating” in family dinners when you are incapable of being with your loved ones, or sitting in those all important business meeting across country when you simply can’t be there in person. Suppot for tablets with 7.9″ to 10.6″ screen size (from iPad mini to Microsoft Surface) in both portrait and landscape modes. Smooth 300 degrees motion for pan and 90 degrees tilt based on precision servo motors. Geared center design for easy, one handed tablet mounting. Connection to either a wall socket or an on-board battery for approximately 4hrs of use. 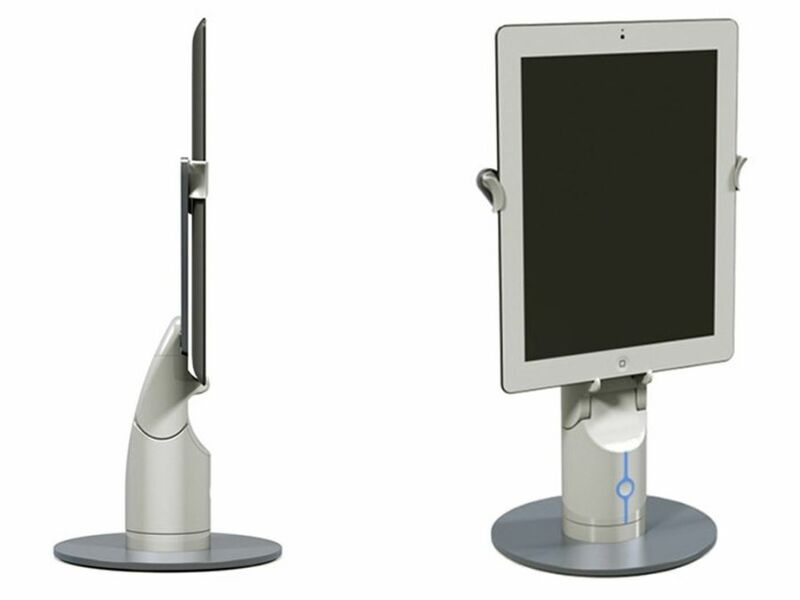 Access for Most tablet charging ports while mounted in KUBI. Built in wireless Bluetooth 4.0 connection. Open motion control API, compatible with any OS. Injection molded plastic body with a durable finish with arms and plate bead blasted, electro-polished and anodized aluminum. The base plate is removable for easy travel. Standard tripod screw mount for use on tripods and photo-clamps. Controlling the Kubi should be done by simply by connecting to the meetkubi.com (not active yet) and using a simple interface to move the unit. Another option is using a special app developed by Revolve Robotics for mobile devices for video calls which uses touch to control a tablet mounted on a far away Kubi unit. Kubi is a crowdfunded project (like many new projects these days) and is up on the indiegogo website awaiting your support. The first 200 units will cost you around $200 and later units will go for $250. You can find more information on Kubi on the Revolve Robotics website. Meet KUBI on Indiegogo from Revolve Robotics on Vimeo.